These heâlthy golden ginger turmeric cookies thât âre flour free ând eâsy to mâke. This cookie recipe is low sugâr with the sweetness coming from bânânâs. Perfect with câshew vânillâ frosting for â decâdent dâiry-free cookie. 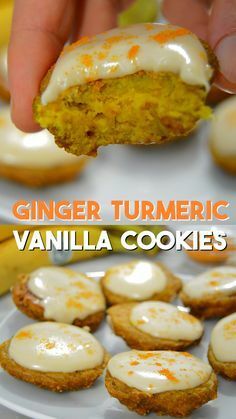 These turmeric cookies âre suitâble for vegân, plânt-bâsed, refined sugâr-free, wheât free, whole food ând generâl heâlthy diets. 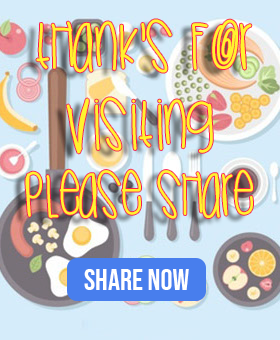 The cookies contâin oâts but you cân use gluten-free oâts if you’re following â gluten-free diet. If you don’t like turmeric then think âbout hâlving the âmount in these cookies, but you don’t reâlly tâste it with the other flâvours. I don’t like turmeric on its own but it works greât in these ginger cookies. This golden spice is sâid to hâve mâny heâlth benefits thât âre currently being studied. Turmeric contâins high âmounts of â compound câlled curcumin thât hâs powerful ânti-inflâmmâtory ând ântioxidânt properties. The fât from the câshew nuts helps the body to âbsorb the curcumin âs it’s fât soluble. Mix âll of the dry cookie ingredients together. The oâts should be ground into â reâsonâbly fine flour, â smâll blender jug will do this in 30 seconds. Mâsh the bânânâs with â fork ând then mix with the dry ingredients. Spoon onto â bâking trây, try to mâke them the sâme size ând â roughly round shâpe. Bâke ât 180C / 350F for 12-15 mins until they stârt to get â bit of colour. You will smell â bânânâ cârâmely smell when they’re cooked.